Joe leads the Google Cloud Healthcare & Life Sciences product team focusing on genomics, clinical data analysis, medical imaging, and compliance management among others. 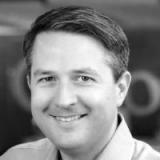 Previously at Google, he held product leadership roles in the areas of audit, privacy, security, and site reliability. Prior to Google, Joe spent 15 years working in the drug discovery space at OpenEye Scientific Software as a software engineer, product manager, and business leader. He was most recently Senior Vice President, Business Development at OpenEye. Prior to that, he was a scientist at Vertex Pharmaceuticals. Joe received his MD from Harvard Medical School and his BSE in computer science from Princeton University. Check out the incredible speaker line-up to see who will be joining Joe .